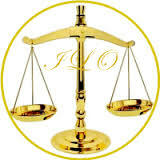 Lawyersclubindia is India’s most trusted online community for Legal professionals and Law Students. Launched in Feb’2008, we started off as a site meant for knowledge sharing only among Lawyers. A platform for interaction with people of their own fraternity. Updates on various issues in the Legal world (mostly relevant to Advocates, General Public and Students). Most recent advancement/reviews/discussions on current Legal issues. The selected interns would be required to be in office for 2 days a week and the remaining 3 days would be work from home. 1. Writing Articles on Law related Topics – Technical /Non-Technical for LAWyersclubinida.com. 2. Replying unanswered queries in the forum section of LCI. 3. Preparing content for social media as and when required. 4. Inviting Guest Articles from the industry stalwarts. 5. Taking interviews and preparing transcripts of those interviews. A basic stipend will be provided. 1. Facebook Link is here. 2. Twitter Link is here. 3. Instagram link is here.